We arrived home yesterday, after being away for over a month. I am trying to get things back to normal and reacquaint myself with my kitchen! Since I have not done a full grocery shopping yet, making Dorie's bread was a great choice. I had most of the ingredients in the house. I made some substitutions for the chives, by using basil and sun dried tomatoes. I used half gruyere and half provolone for the cheese. I threw this bread together in about 5 minutes and had it baked in less than an hour! Quick Breads are easy to prepare. Put all your dry ingredients together, than all your wet ingredients together in a separate bowl and incorporate them quickly. Never over mix or you will not get a tender crumb, and your bread will be heavy. I then added the cheese, nuts, sun dried tomatoes and basil. I did not butter my pan. I used Pam instead. I did not have butter in the house…it's on my grocery list. I used an 8 1/4 by 4 1/4 size pan and the bread rose nicely. I make a lot of quick breads, always sweet and fruity! I have always stayed away from savory breads, as I have never been very fond of them. However, this bread was very good. I really enjoyed the taste of the cheese and nuts. The sun dried tomatoes were a nice touch, adding a nice flavor to the bread. I think this bread would be lovely served with dinner. My husband was a little more critical. He expected sweet! This recipe can be found in Dorie Greenspans book "Around My French Table". Which you can buy at Amazon. You can also find it here at the Washington Post. Dry and wet ingredients, sun dried tomatoes, basil. Mix together. I wish I'd thought of sun-dried tomatoes & basil - what a great idea. I was trying to use up fresh herbs, so I added chives, sage & tarragon. This would be a great recipe to throw together for company. Yours looks delicious! I love the sun dried tomatoes in your bread! It really give it a pop of color, even more than herbs! Great post! I just want a big slice right now. I also love your additions and the red of the sun dried tomatoes is so pretty in your loaf. I bet it is great being back in your own kitchen! The basil and sundried tomato was a great idea. I think the texture even bore out these choices more than chives did. Your loaf is the best looking one I saw today! Kathy, Your pix are almost as beautiful as your bead! Wow. What a handsome loaf of savory bread. I think everyone would appreciate knowing that these loaves are savory. I can't wait to try the sundried tomatoes and basil next time! The red really does make this loaf "pretty"! Good luck settling back in. Your loaf is so colorful. I like your combination of basil and sun-dried tomatoes. Really pretty pictures. I love the addition of the red pepper. ...sorry, mean sun dried tomatoes. Wow- so impressed that you made this after being away a month. Luckily it was an easy and pantry friendly recipe- perfect for a return home or someone who had a busy week and was doing this recipe after work on Friday (guilty !) Nana and I tried different cheeses but did not vary too much in add-ins the first time. Love the sun dried tomotoes - color and taste at the same time. Your bread looks so good! It really is amazing for such a small effort. Great additions! I wish I had a way to answer each of you personally. You're all so complimentary and I do appreciate all your comments! I really enjoy visiting all of you and reading your very talented posts! FFwD has become such a fun obsession! 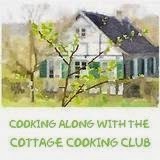 How fun to jump around from blog to blog and see this group all cooking up the same recipes. I would love this!! I've been buried in the kitchen making french macarons this weekend and I did use several blogs as my guides. I had to search around so it would be nice to be in a group where everyone is one the same page. Thank you for posting a photo of the cookbook! Delicious looking bread! Nice variations! I love your step-by-step photos, too. I think I'll have to try this with walnuts next time. Everyone who did seemed to like it so much. Kathy-Welcome home, from sunny Florida! I'm happy for you that you took a nice month break away from the cold weather that you are still having up north. Your chive and cheese bread is so amazing, with the addition of the sun dried tomatoes, and the walnuts. Lora made muffins with this recipe, and it was all gone, the same day. Personally, I prefer the bread version. Love the way your bread turned out, so colorful, tempting, and delicious! Savory quick breads are so good, I love all the additions and I think it looks especially pretty with the sun dried tomatoes.